On the 14th of June there were five updates in 2012. 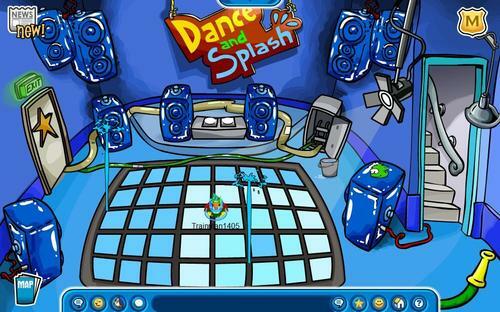 There was a new log off screen, a new field op, a new pin, the Marvel Superhero Takeover began, which Aunt Arctic was waddling around the island for. Starting with the most minor updates, a new logoff screen was added to state the Marvel Superhero Takeover was now happening. It featured penguins dressed up in different Marvel costumes. The Super Villain Lair was one of the special rooms just for the takeover. Once you were there you would have to bypass the system by playing the field op’s minigame. You would do that by matching your data with the firewall to break through. Once completed a message from Protobot would appear. Also on this day in 2012 a new pin was hidden on the island, the Superhero Pin. It could be found at the Mine Shack. The Superhero Pin is the sixth pin to be hidden in that room. Finally, there was the first ever Marvel Superhero Takeover that began. 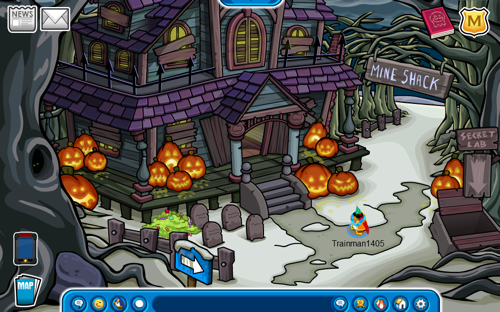 Along with the big event Aunt Arctic was waddling around the island and had a new background to give out. At the party, if you were a member, you could choose to be a super hero, super villain, or citizen. Nonmembers were automatically citizens. Free items at the party included a Mine Helmet, Money Bag, Press Conference Background, and a Mug Shot Background. At the party there was also a special catalogue with different Marvel costumes that members could purchase. In addition, there was also a second special catalogue containing items for all players. 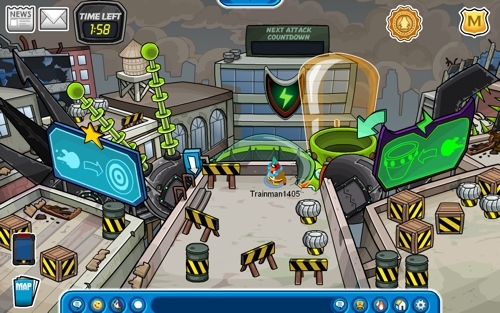 A big part of the takeover was members could battle Destructobot by throwing snowballs at him.